Sharp bends at the wrist overload the median nerves, a leading cause of carpal tunnel syndrome. 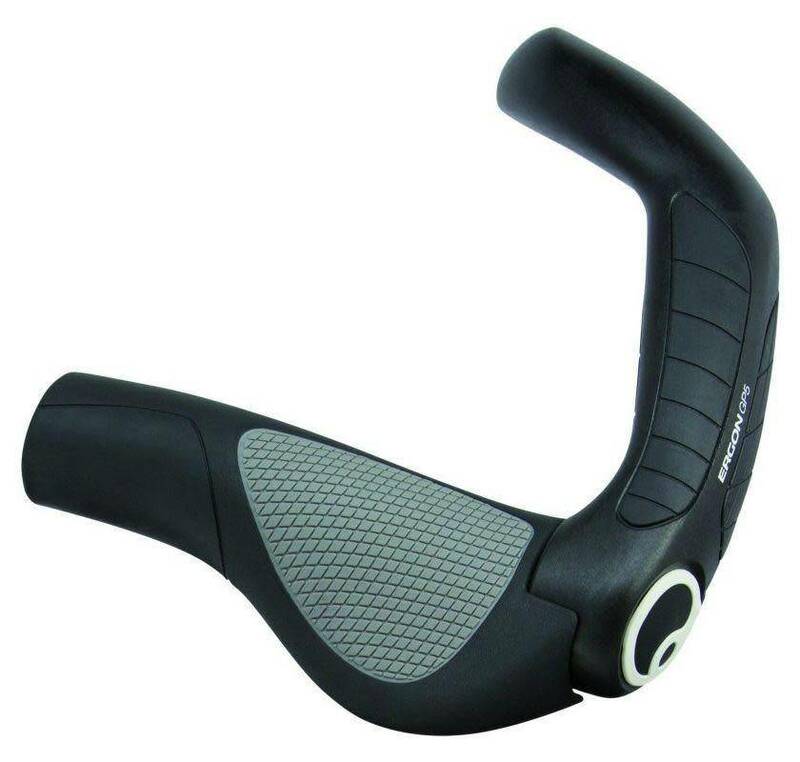 Ergon grips correct the position with an anatomically correct shape. Plus, thanks to their increased surface area, pressure is also eliminated from the ulnar nerves in the palms ensuring total comfort on every ride. All Ergon Wing Style grips feature a unique patented inner core which provide the needed support for the Ergon soft rubber. 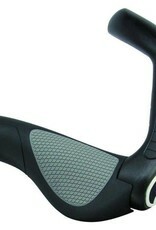 Only Ergon wing grips are ergomomically angled asymmetrically for the specifics of left and right hands. Two densities of hypo-allergenic rubber ensure comfort,precise steering and damping all to keep you in control while comfortable. Optimized pressure distribution helps to prevent numbness and aching. Forged aluminum clamps allows a single screw to strongly secure the grip from twisting under load.